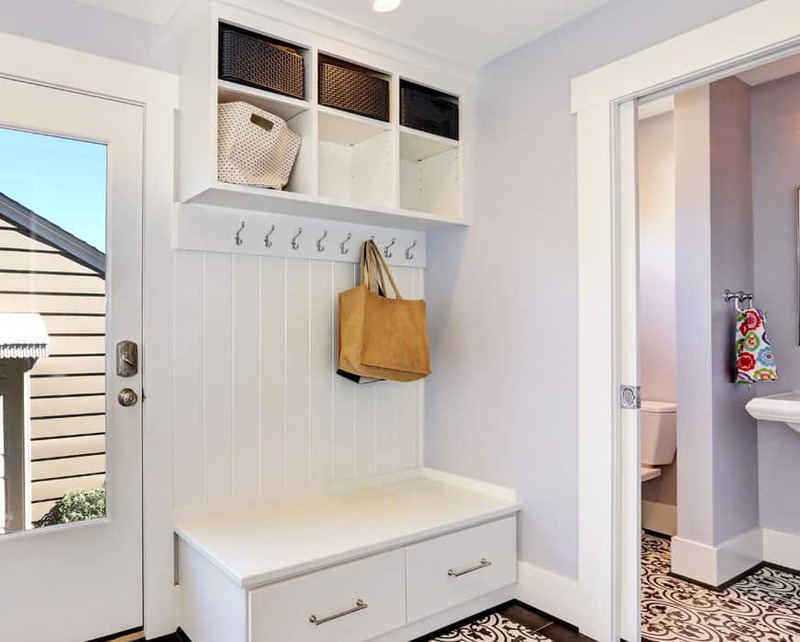 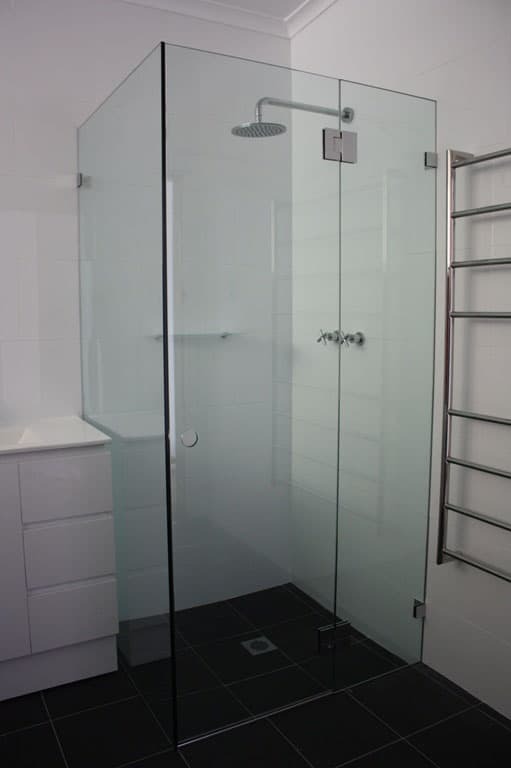 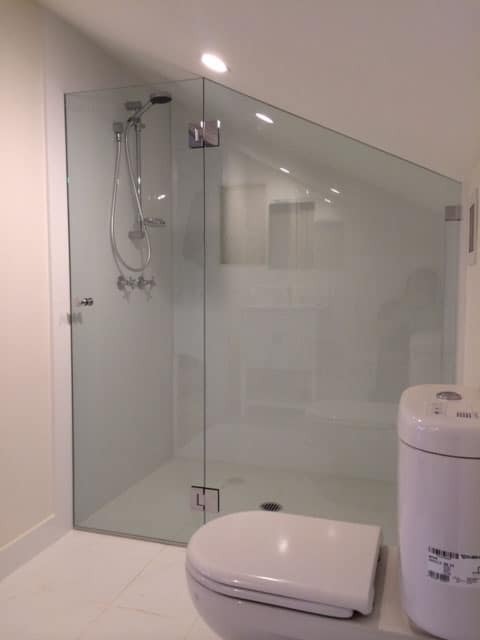 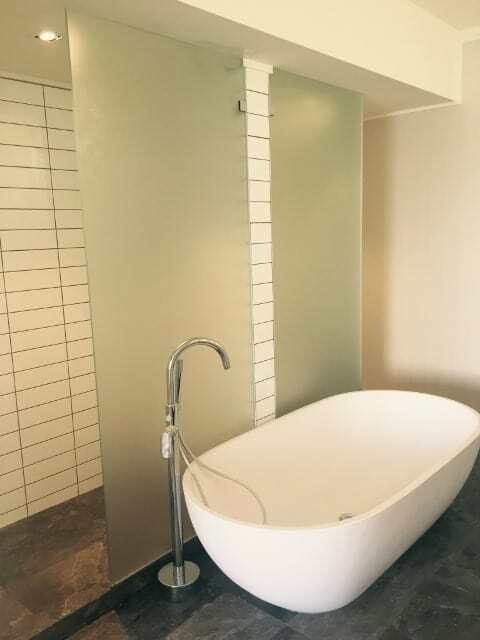 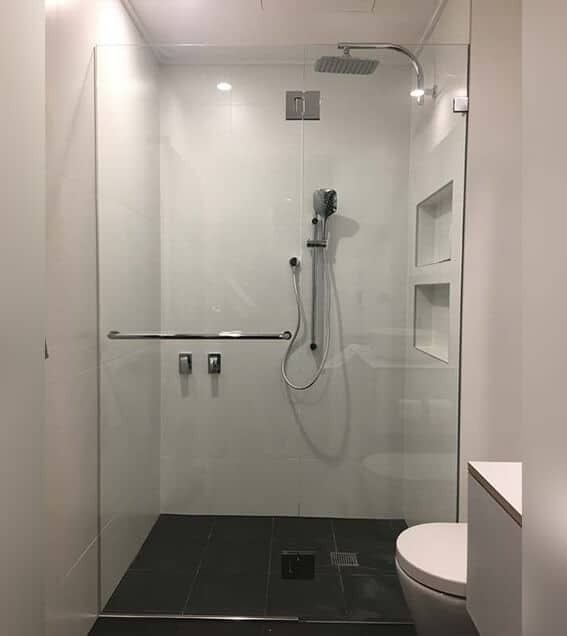 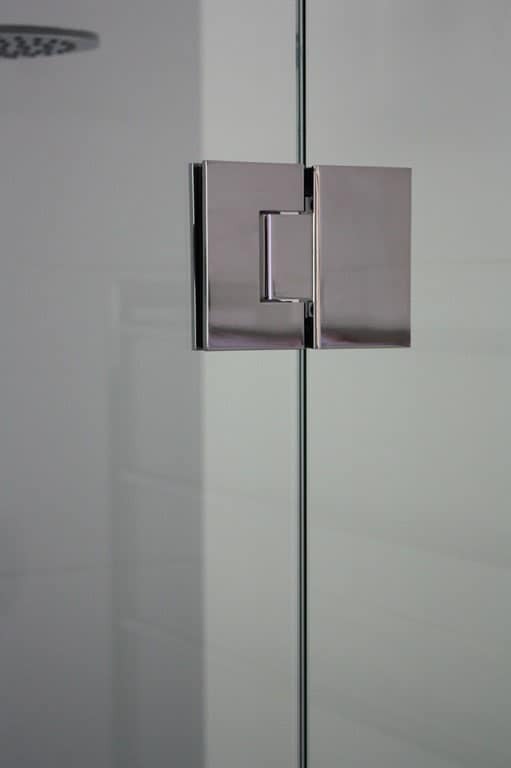 Our frameless hinged shower screens are custom made to suite any size, shape or situation. 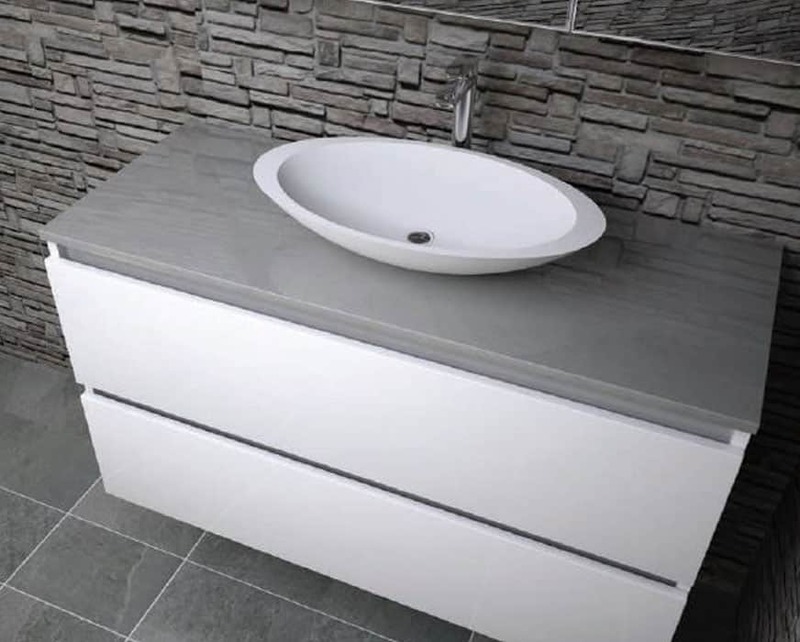 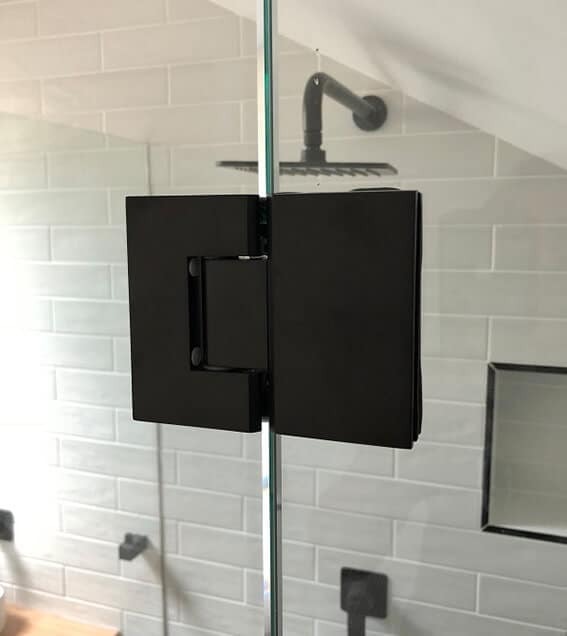 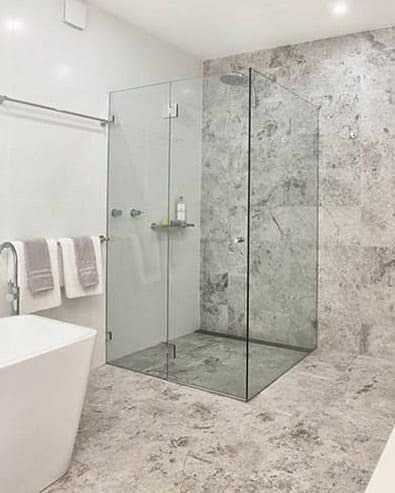 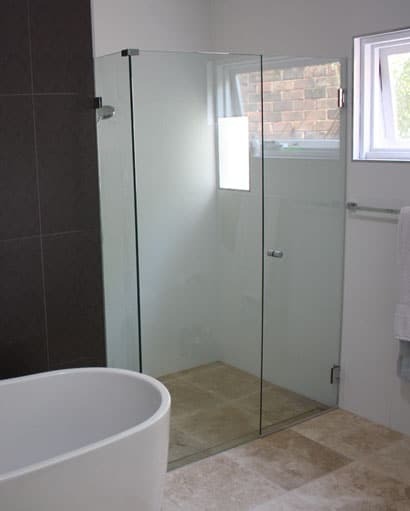 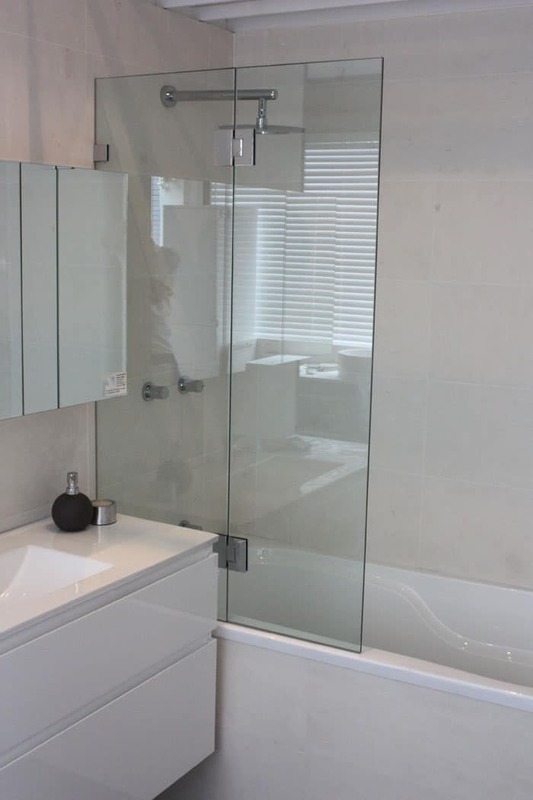 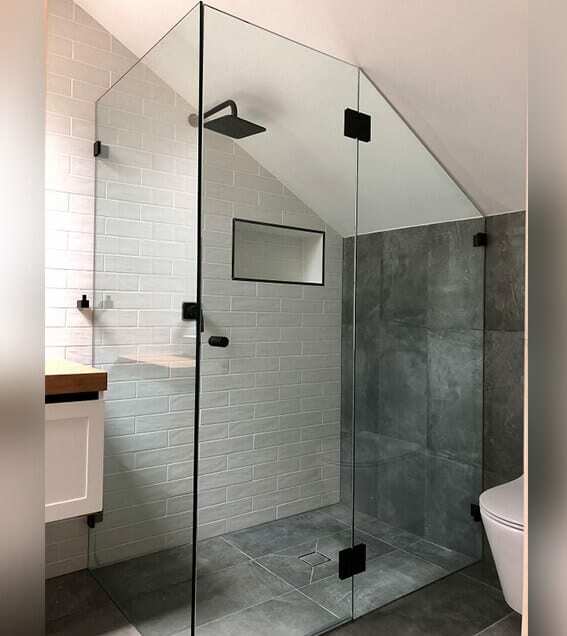 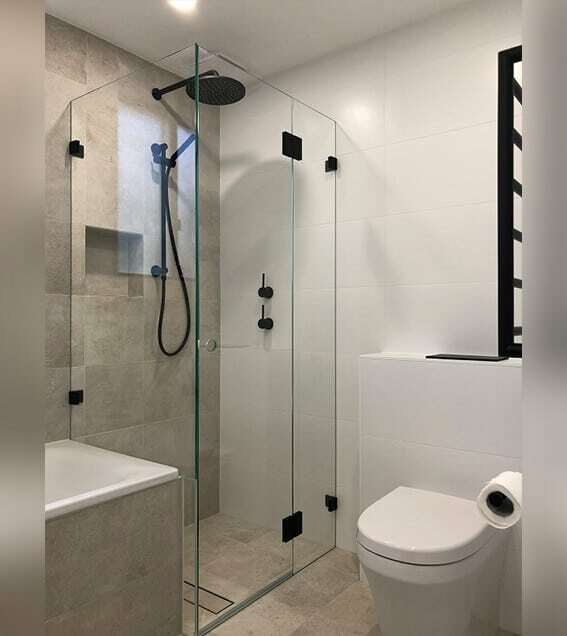 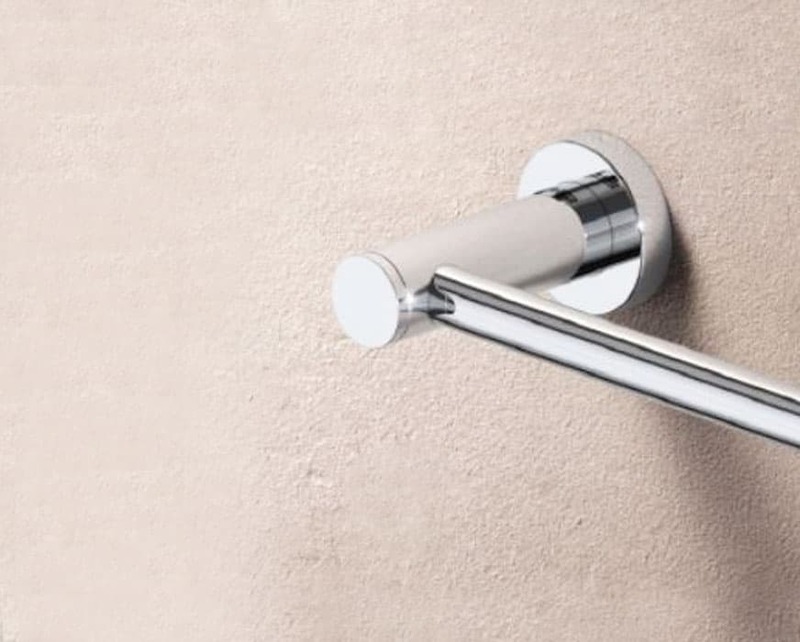 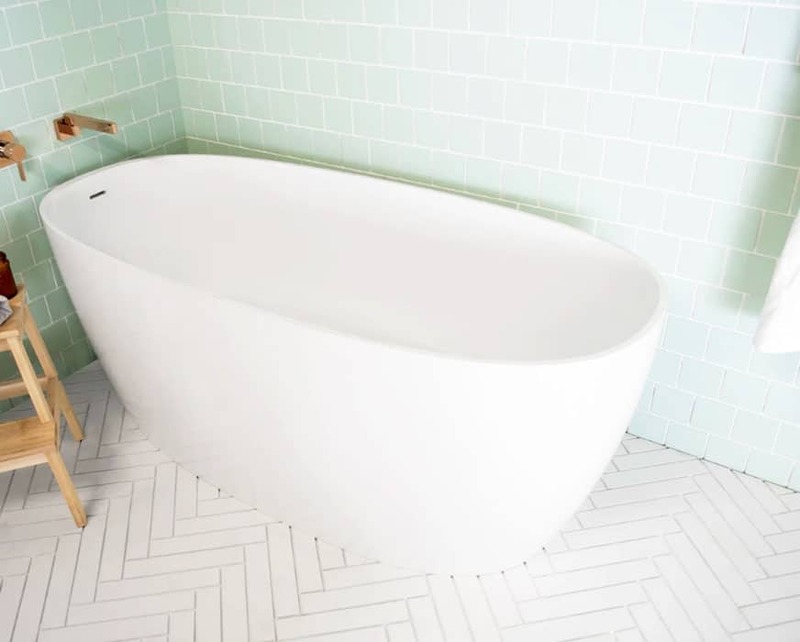 Whether it is a new bathroom or retro fitting an existing bathroom, we will be able to design, supply and install a quality shower screen made specially just for you. 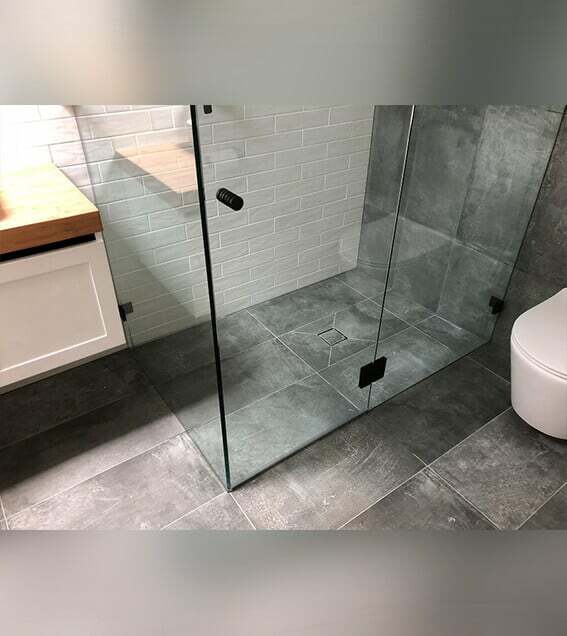 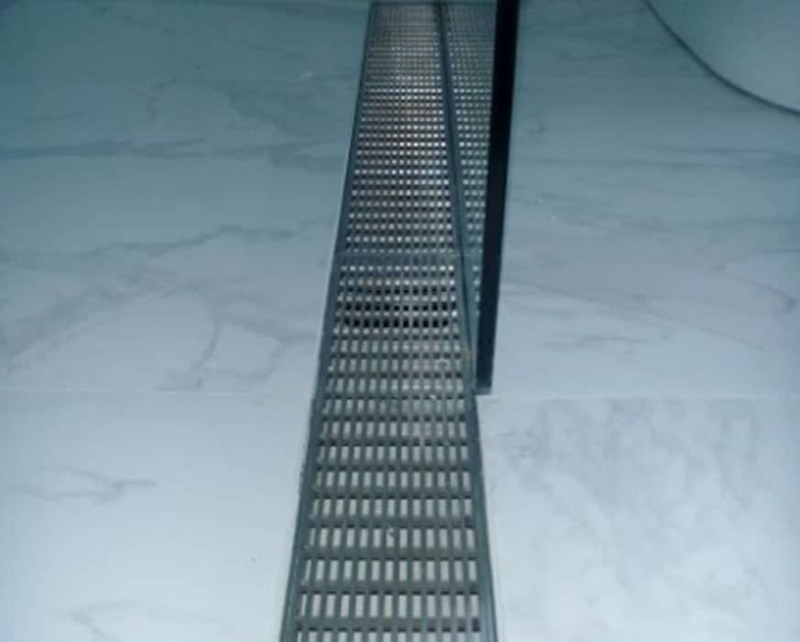 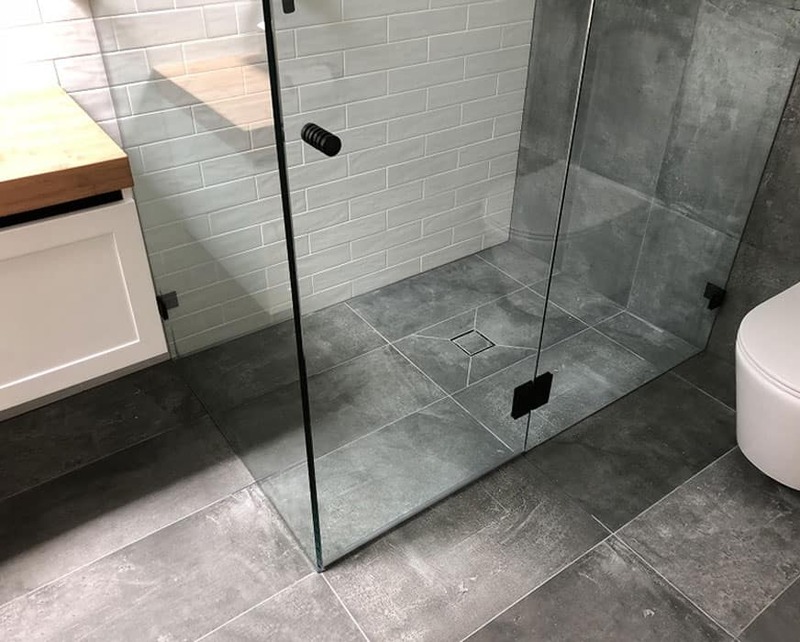 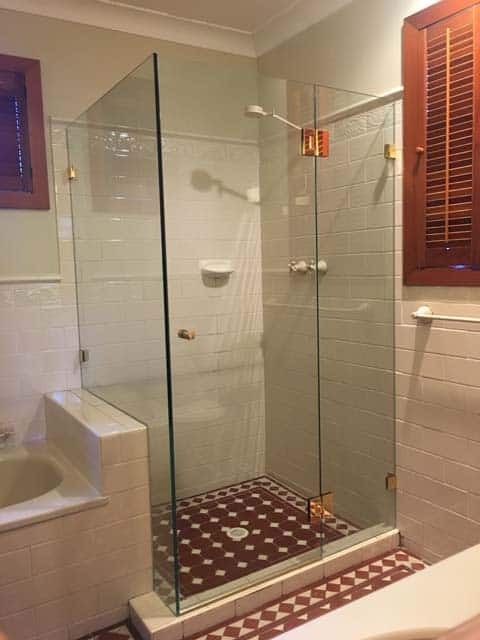 We take the time to measure carefully so that your shower screen will always look square and plumb no matter how crooked your walls and floors are! 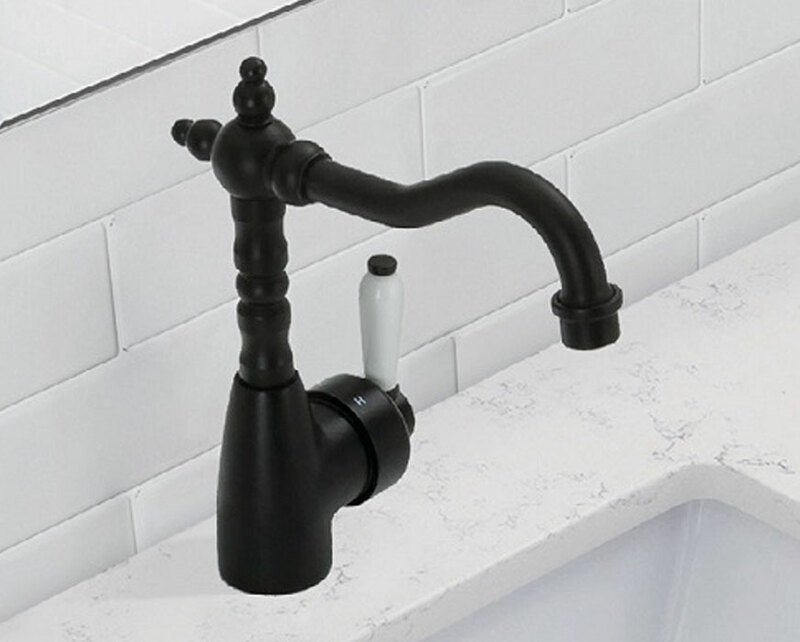 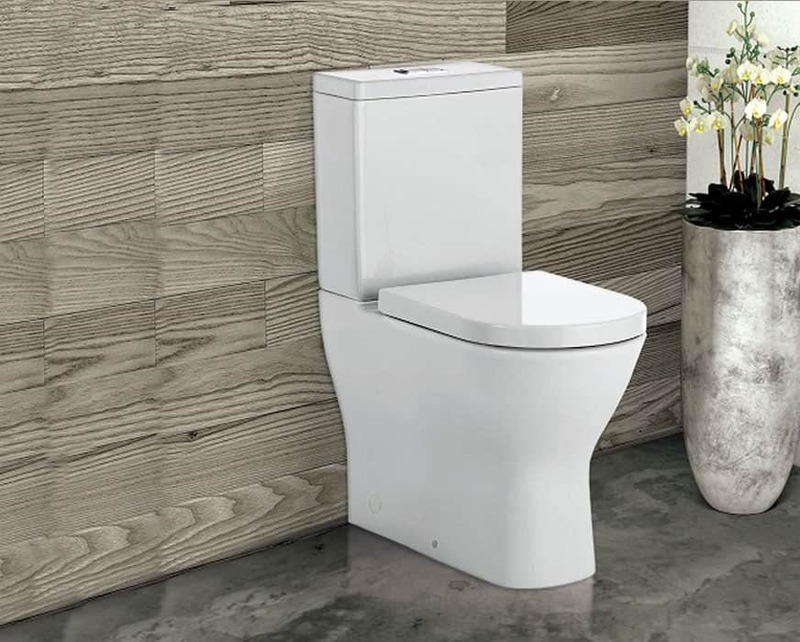 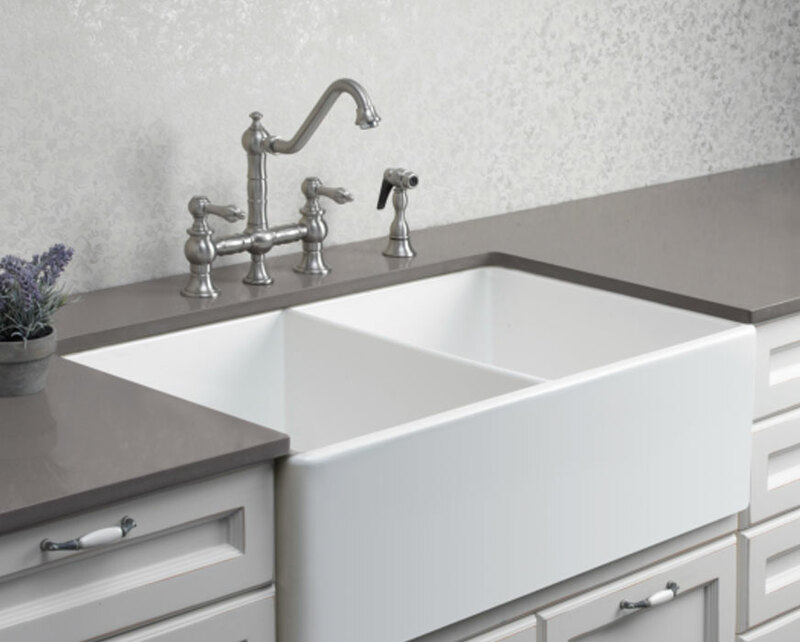 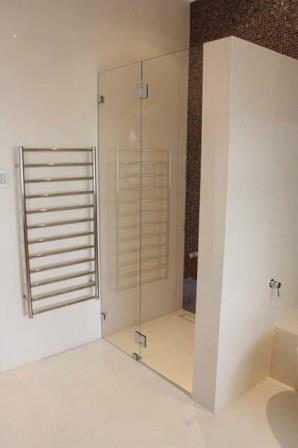 Our fittings are top quality to ensure a trouble free finish. 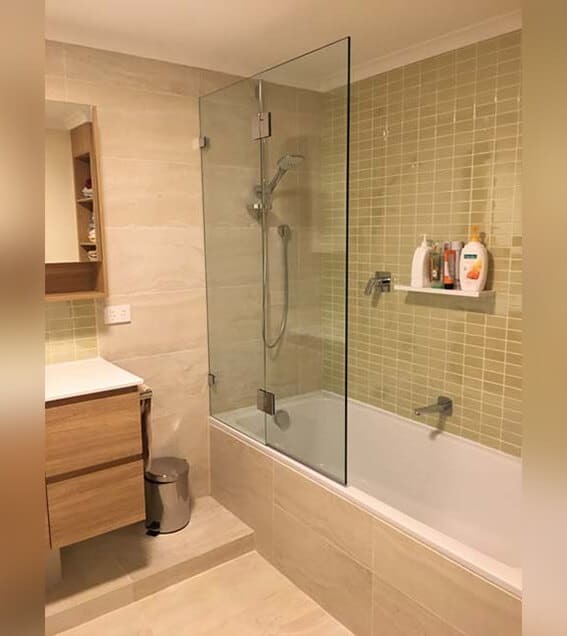 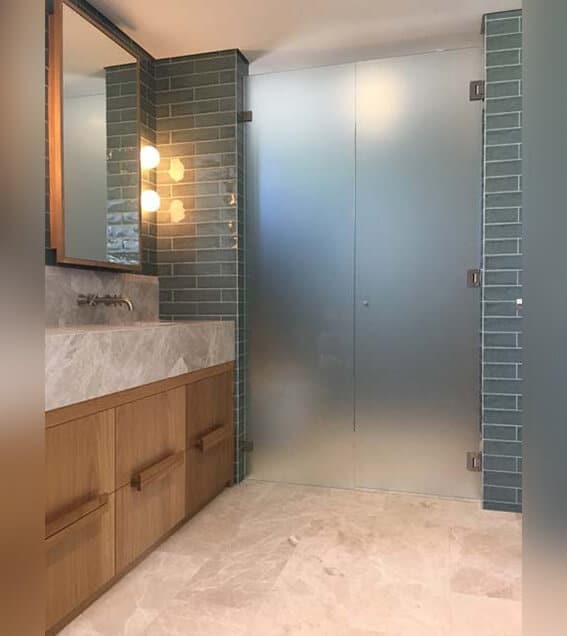 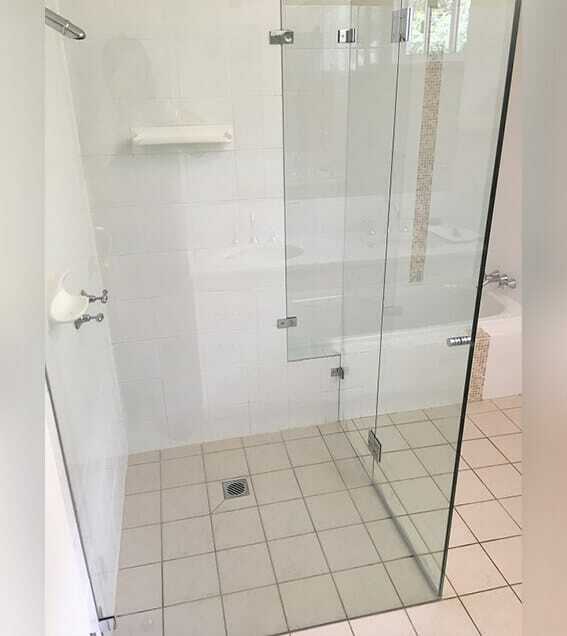 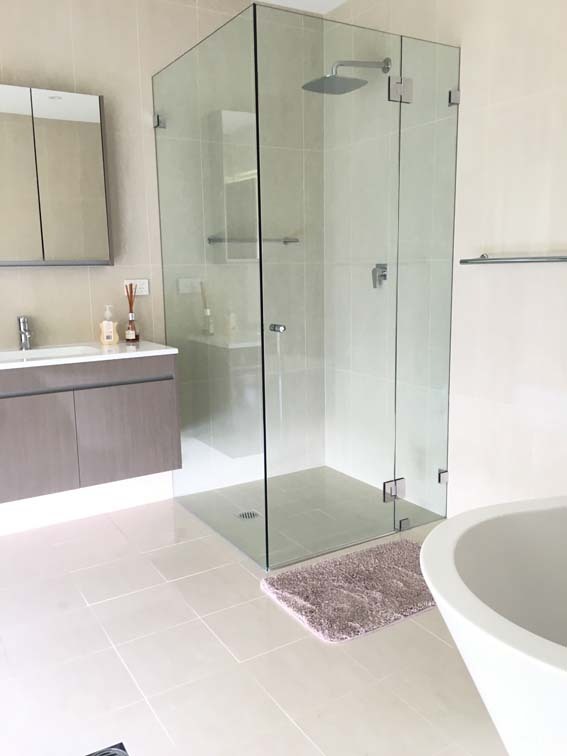 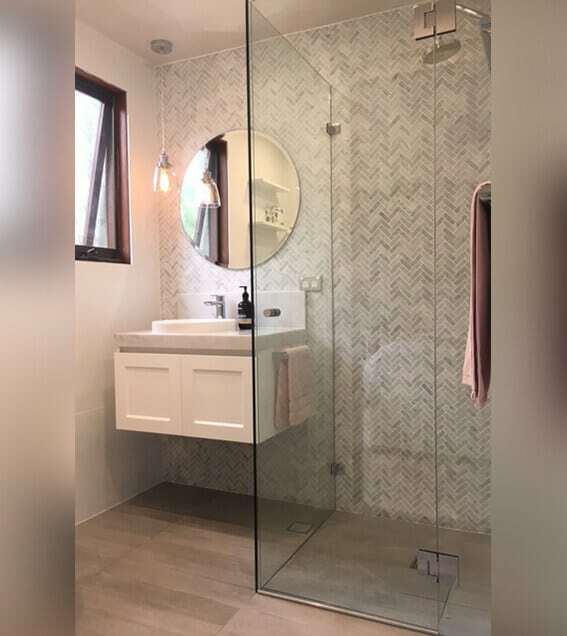 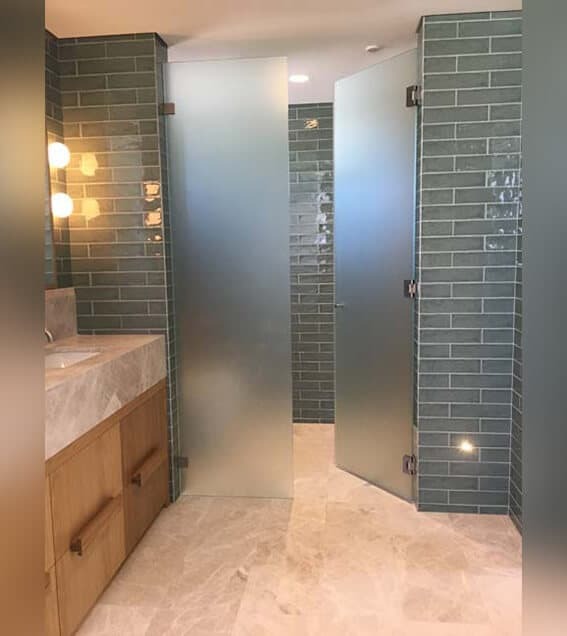 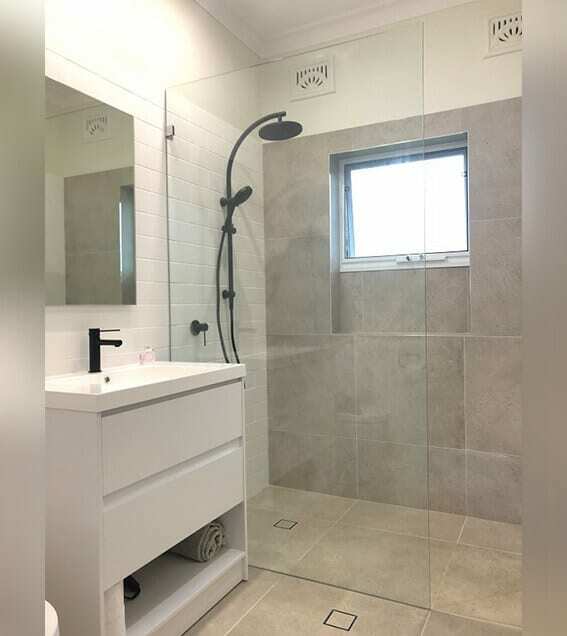 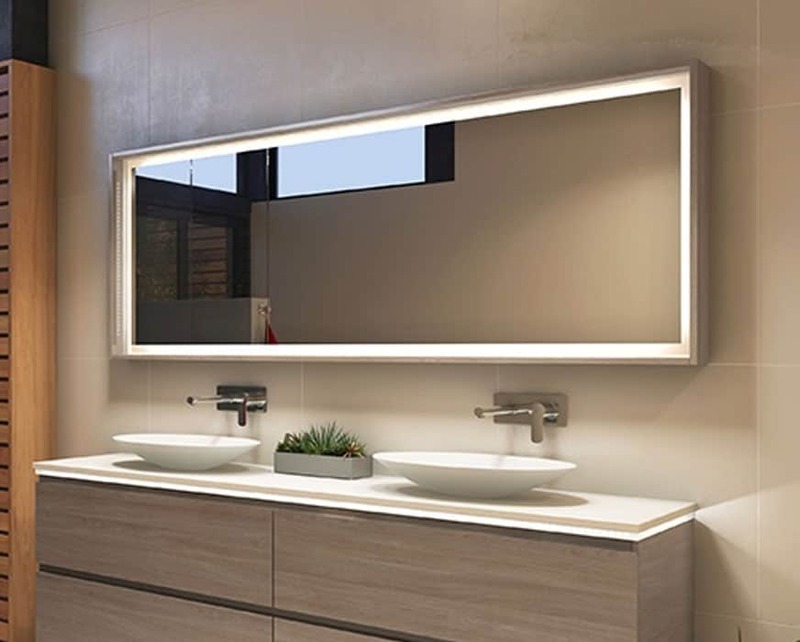 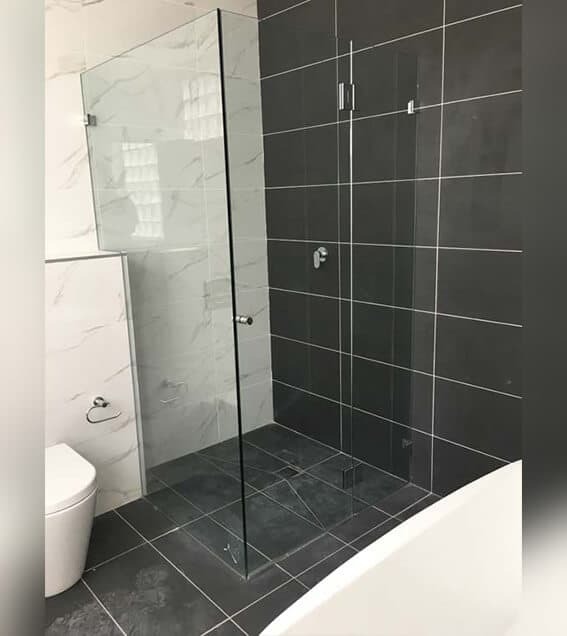 The glass is Australian made 10mm toughened safety glass or for absolutely crystal clear glass you can specify Starphire glass, the choice is up to you. 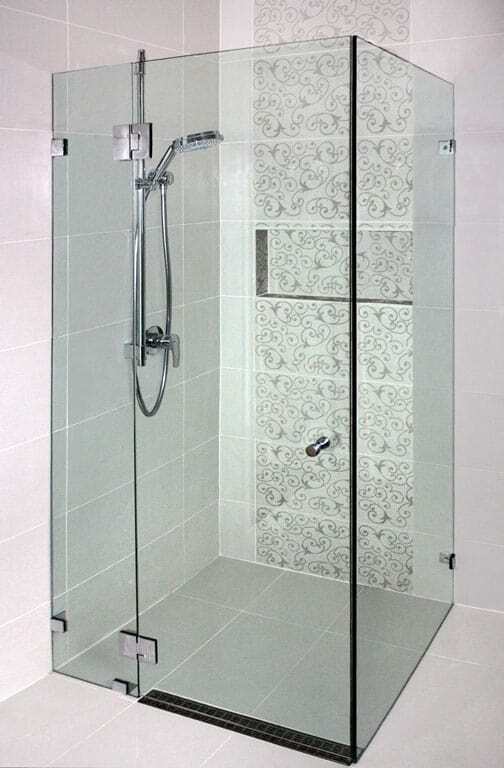 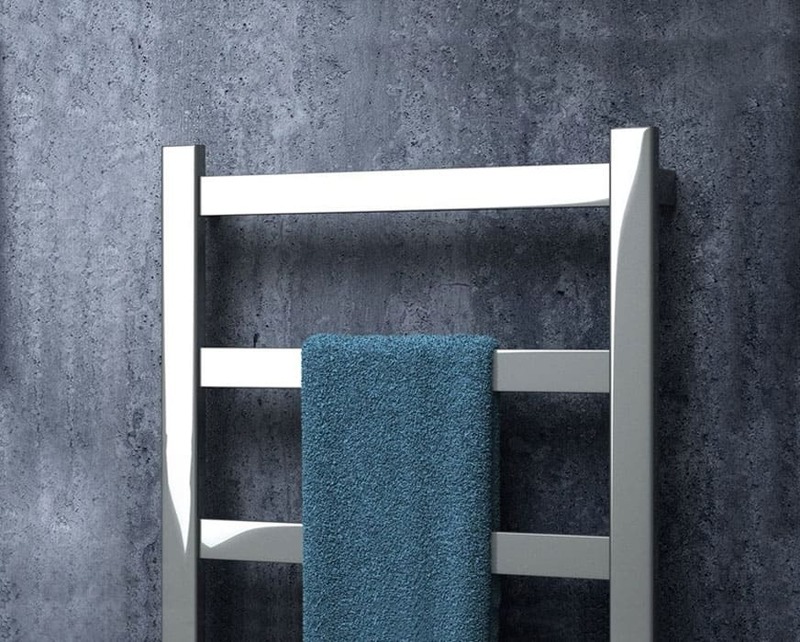 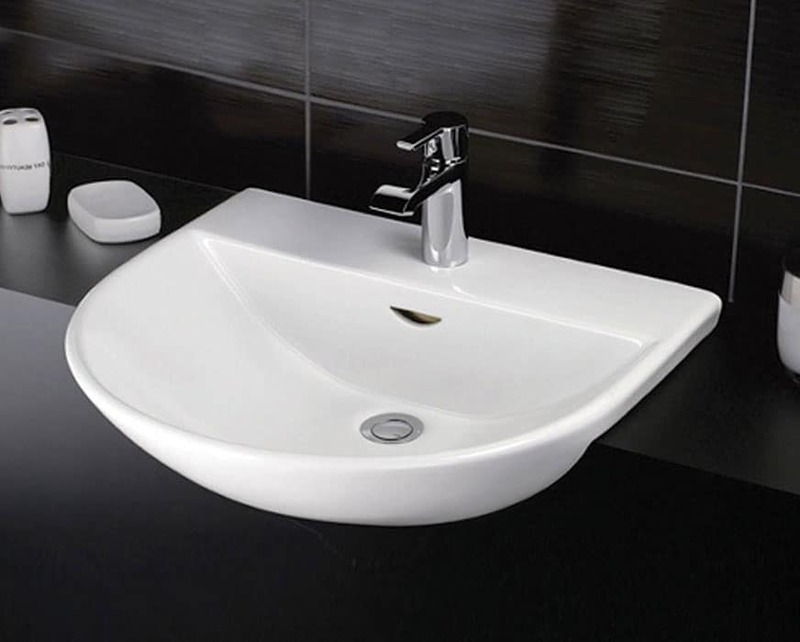 Also available as a bath screen with a fixed panel and 90 degree hinged panel. 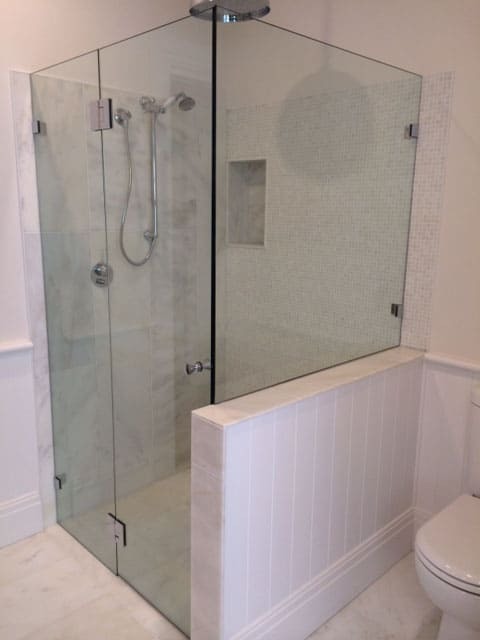 You have peace of mind knowing that we control the job from quoting to installation, we do not hire sub-contractors.